Hello, readers! Are you done shopping for this upcoming Raya? If not, don't worry. It is still not too late to do some Raya shopping since we still have time for it. I still need to buy some others things like shoes and scarf/ shawl for this Raya. Maybe I can take a look what Lazada have for this Riang Ria Raya sale? If last year my theme was orange brownish kind of colour. But for this year, my Mom and I will be a bit away from that colour theme as we cannot find any outfits with that colour theme at the moment we search for the outfits. So our colour theme for my Mom and I is maroon burgundy colour. I know it is not matching with the boys' theme but it is okay as long as we are together, right? For the first day Raya, I will be wearing a Kebaya. It is going to be my first time wearing Kebaya since I never wear one before. I'm quite excited for it. Since it is a plain Kebaya so I will be matching my outfit with a designed shawl or scarf. For the next two days, I will be wearing a modern baju kurung and a dress. For shoes, I feel like I want to wear a heels or wedges to give me some height since I'm way too short. Not to forget, a handbag. It is a must so that I can put everything that I need in the bag. There are lots of things on Lazada website. It is hard for me to choose cause there are so many choices there. But let see what I would like to buy from Lazada to complete my outfit. 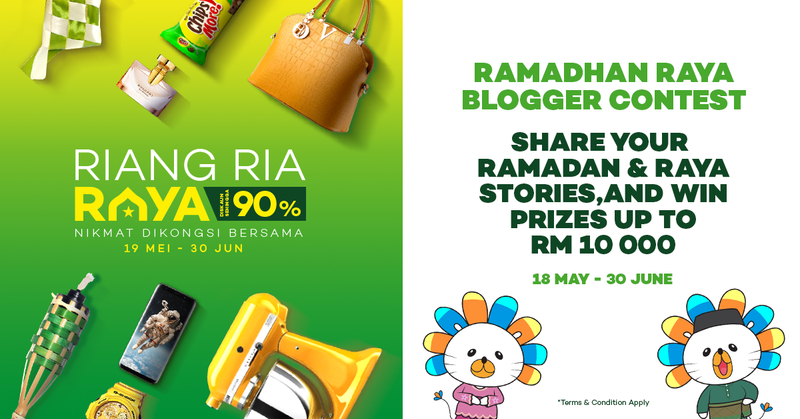 Lazada Malaysia currently having a Marhaban Ya Ramadhan and Riang Ria Raya Sale (http://www.lazada.com.my/riang-ria-raya) that will take place from May 19 to June 30 where you can find special discounts up to 90%. Don't forget to check it out, okay? To blogger out there, if you're interested in joining Lazada contest, go to http://www.lazada.com.my/blogger-contest/. It is happening now until 30 June 2017. What's your colour theme for this year? I like how as long as you matches your mom, screw the boys. lol.